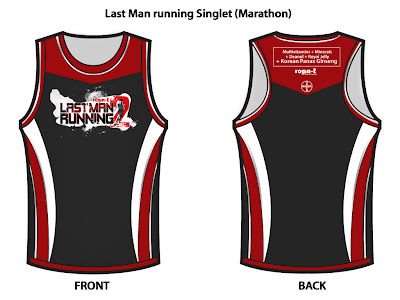 Home / bayer / bonifacio global city / china / great wall marathon / last man running / map / marathon / mechanics / rogin-e / route / run / running / It's Time for the Rogin-E's Last Man Running! It's Time for the Rogin-E's Last Man Running! If you think that you have the endurance, determination and the will to push yourself to the limit, then you might be the man and woman that Rogin-E is looking for. 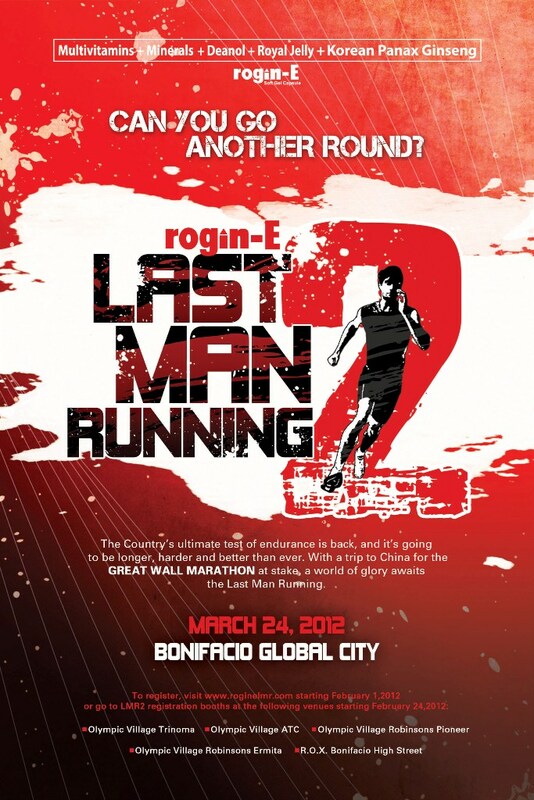 Showcase your strength and prove yourself that you are this year's Rogin-E's The Last Man Running. From the well-attended and talked about running event last year, Rogin-E brings back the most challenging running event for all the runners who wanna prove something. Adding a little twist to the whole idea, Rogin-E shouts out the question "Can you go another round?" 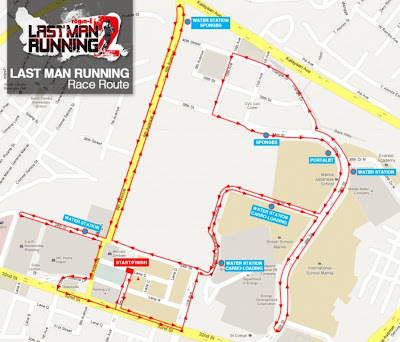 I was invited to be a part of its mini conference for the bloggers last week at Bonifacio High Street, and together with my fellow bloggers and some professional runners who are vying for the title, everyone was informed as to what to expect from this year's Last Man Running. According to the Bayer Team, who brought up this very tough running competition, if runners thought that last year's competition was hard, well, this year, Bayer Team made sure that the running will be longer, harder and better than ever. 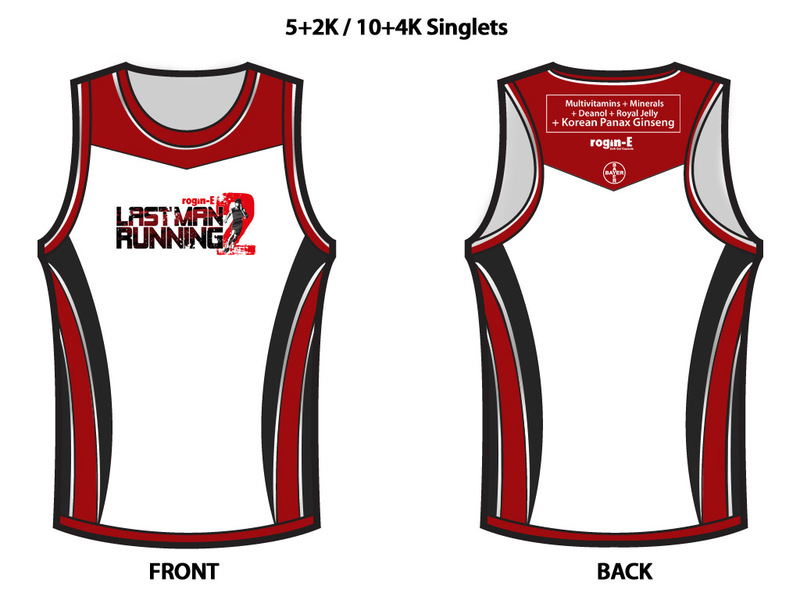 There will be 3 categories for this competition, 5+2K Race, 10+4K Race and the Last Man Running Race. The Last Man Running Race is a 7-hour marathon that will test the whole strength of the participants. 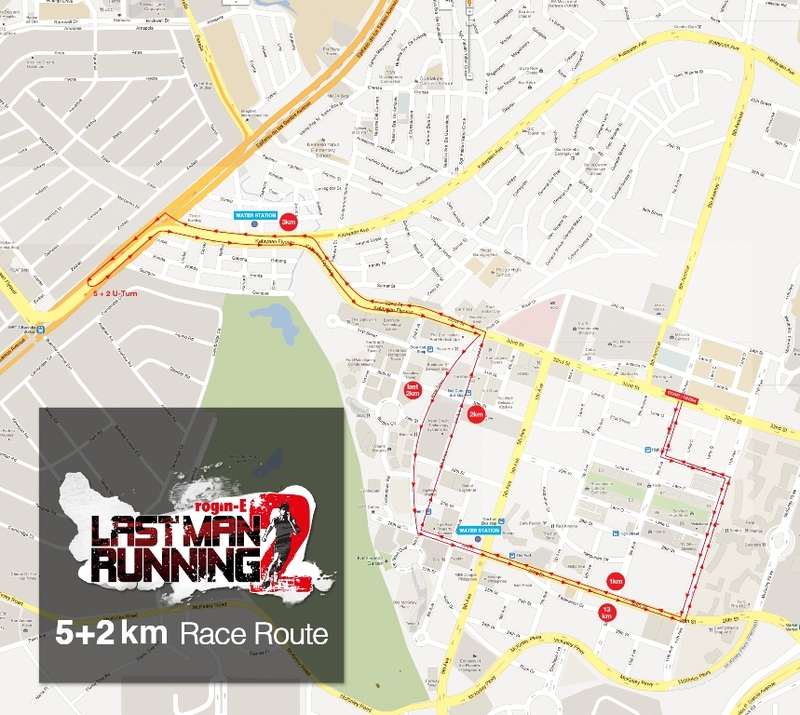 I also got a copy of the routes that the runners will take, so if you are interested, you can check out these maps. 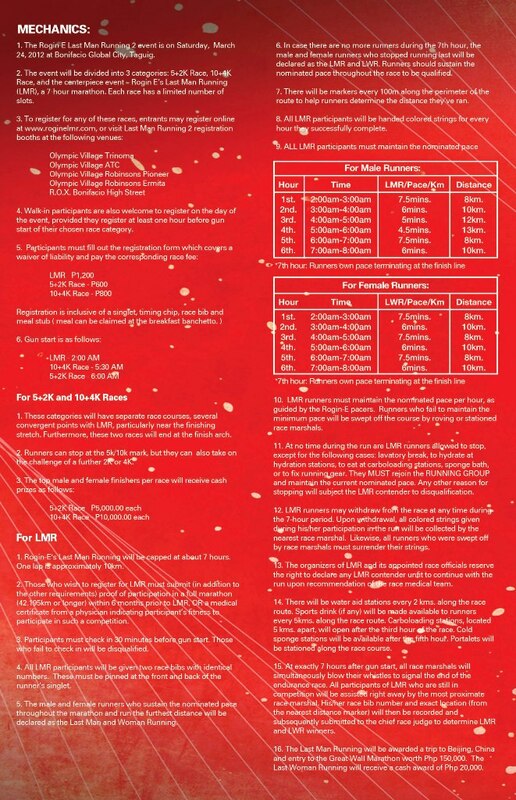 Upon registration, you will receive your singlet, timing chip, race bib and meal stub, which you can use after the race at the breakfast banchetto. 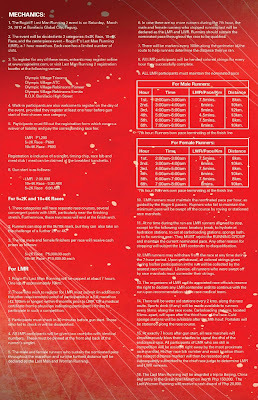 During the conference, guests, particularly bloggers, had a sample of the "may the last man win." And with two games prepared for us that night, man and woman outlasted one another through these simple yet challenging games. Running Atom won at the first game, giving him a new pair of shoes, while Noelle de Guzman, who won at the second game, took home a nice red jacket! Congrats, guys! As for the winners of this marathon, the top male and female winners of the 5+2K Race will take home Php 5,000.00 each, while Php10,000.00 each for the top male and female of the 10+4K Race. 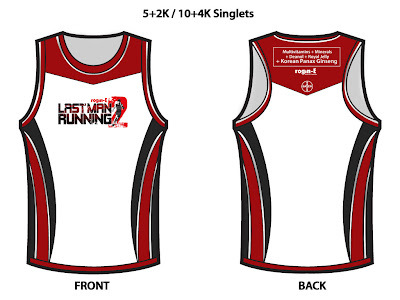 The Last Man Running winner will get a chance to fly to China to compete to the prestigious Great Wall Marathon, which is worth Php150,000.00, while the Last Woman Running will receive a cash prize of Php20,000.00. So again, take note, at 2 in the morning March 24th, Saturday at the Bonifacio Global City, it's Time for the Rogin-E's Last Man Running!